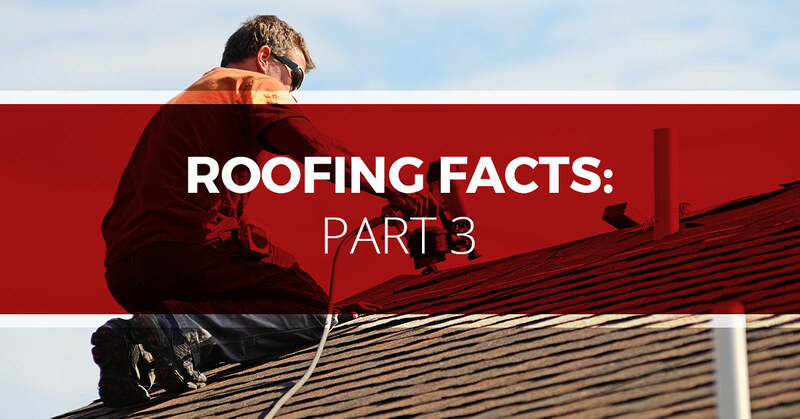 Throughout our years as roofers, we’ve learned some things that aren’t common knowledge. We’ve been sharing some insights that will help any roofing work process more smooth for everyone, and today, we have a few more! No matter how talented your roofers are, if your roof deck was badly made, your new roof will struggle. Houses are built from the ground up, and a poorly constructed home means a poorly performing roof. If things get bad enough, your roofing warranty can end up voided. Additionally, if you decide to have your new roof installed on top of your old roof, previous issues will continue. We’ve seen cats and dogs be very affected by re-roofing. They don’t like strangers on the property, and when the strangers make a lot of noise, it’s even worse. We’ve actually had dogs going after falling shingles and trying to “fetch” them, which is extremely dangerous considering the possibility of nails in the shingles. Keeping your pets inside is absolutely essential when roofers are around. It will decrease everyone’s stress, and we’re all for that! Without fail, the one planting you value the most will be right under the only thing that falls off the roof during re-roofing. During our many years of roofing, we have learned that Japanese maples aren’t cheap. You can rest assured that we will do absolutely everything in our power to protect your property during our time on it. Feel free to make us aware of particularly important locations. Because re-roofing is best done in sections, it doesn’t always fit into a usual eight-hour work day. That means that if the roofers leave halfway through the day, the day, it’s in your roof’s best interests. This is especially true when the weather is rainy. It’s best to wait until your roof won’t be harmed by moisture. Attic ventilation is essential to your roof’s survival. Ventilation prevents the humidity from getting to high or changing too much.Insulation blocking the roof soffits is the most common culprit. We recommend you get your attic and roof professionally inspected to ensure that your roof is set up for success. Roofing is a big investment, and it’s important to make sure whatever work is done will stand the test of time. When you need roofing services you can depend on, turn to Tim Leeper Roofing.